STEPANAKERT (Armenpress)–As reported earlier–on June 28 the city court of Stepanakert ruled that Anush Babayan–the sister of former defense minister Samvel Babayan–arrested on charges of plotting to assassinate Karabakh president Arkady Ghoukassian last March 22–be evicted from her apartment along with her family members. Anush Babayan appealed to the supreme court of Karabakh against the city court’s decision. The Supreme Court affirmed the lower courts ruling. 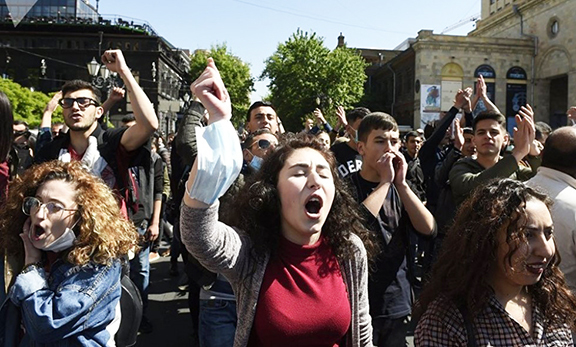 A source in the Karabakh law-enforcement agency told Armenpress that the court’s decision was carried out Monday. In a statement issued by Anush Babayan July 27–Babayan claimed that the apartment had been allocated to her family on legal grounds. The statement condemned the Karabakh authorities for the "cruel attitude towards her family–the intimidation and terror." She applied to the diplomatic missions of France–the US and other foreign countries to be granted political asylum.